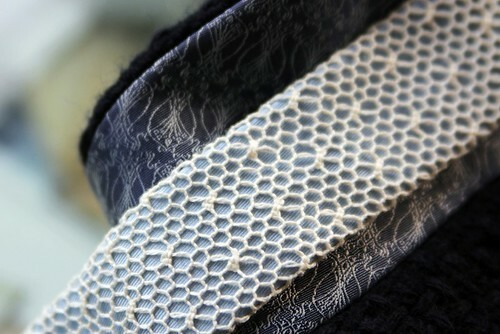 Launched for Autumn/Winter 2011, Marwood’s debut collection showcased an exquisitely crafted range of ties and bow ties made with the finest fabrics such as woven silk, wool and traditional English lace. For SS12, influenced by the photography of William Eggleston that makes the mundane surprisingly beautiful and painting of Peter Doig that reflect a mood for summer, Becky French presents a brighter and more playful collection that continues the label's signature of matte finished textures and dazzling patterns throughout. During the ridiculously hot and hectic weekend that was Paris fashion week for me, I found captivating solace in this sophomore collection entitled Camouflage Clouds. It comes as little surprise that Marwood's well crafted offering has since caught the buyers eye and I'm so pleased that its ties are already or soon will be available in Japan, Hong Kong, Australia and New York. Driven by her passion for pattern, colour, nostalgia and detail orientated design, French has developed close working relationships with some of the country's most skilled and experienced craftspeople whilst breathing fresh life in to neckwear. 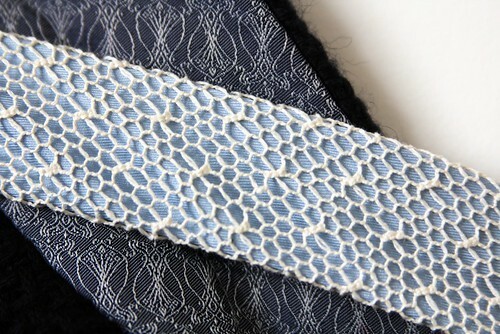 The real highlight for me were the pieces of geometric lace from AW11 in an updated off-white laid over shades of sky blue. Having vocalised my love for one such tie in a crowded showroom in Paris, French felt the Christmas spirit and decided to spoil me by thanking me for my support. 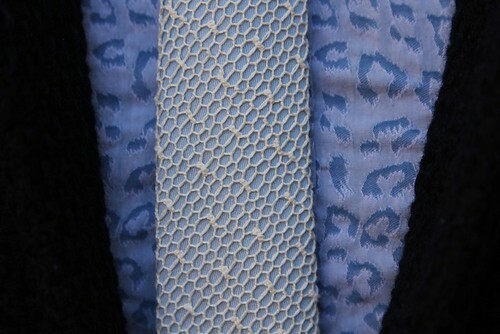 However, this stunning tie is just one component of my hiding in clouds outfit. The second was unearthed amongst the the bounty of bargains that were to be had in the basement of Liberty. During a sale swoop with Eliza, we bounced from rail to rail stopping to admire a stunning wool Dries Van Noten coat and Lou Dalton tailoring before getting excited over an assortment of garb from Liberty London Collection. Now, designers have long been inspired by Liberty's ever growing archive of prints. With an archive that is one hundred and thirty five years old, there is plenty to excite and inspire but I've rarely been excited by their own foray in to clothing design. 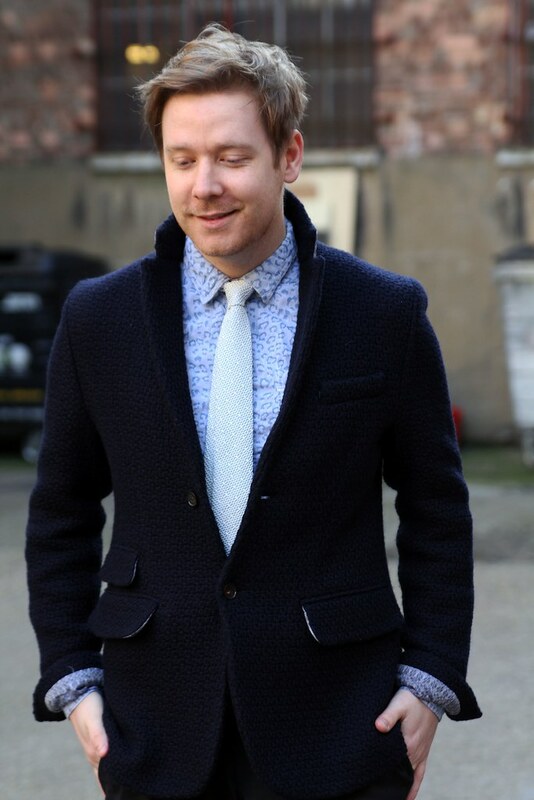 However, this fully lined knitted wool blazer is something quite special. With its slashed pricetag and Eliza's approval it was too good an opportunity to miss. Knitted wool blazer from Liberty London collection worn with a leopard print shirt from R.Newbold x Goodhood and finished off with the Marwood tie. You very cute with this tie. And handsome of course !! 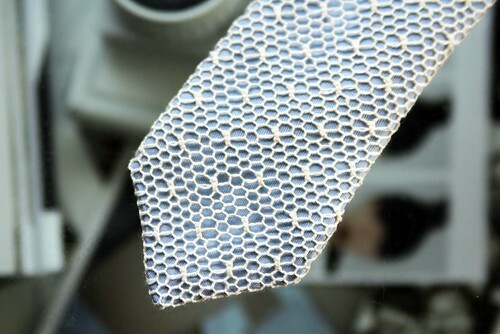 The tie is wonderful with the cobweb detailing. Loving these outfit posts! 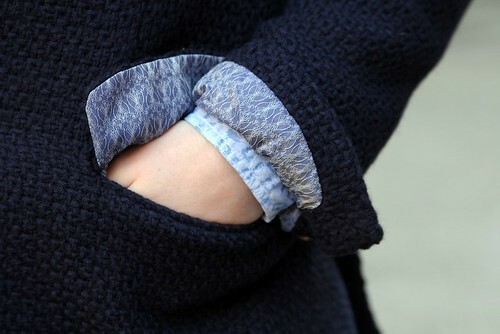 Plus it's great to see another menswear blogger. If you will excuse the South London-ness, that blazer looks siiiick. 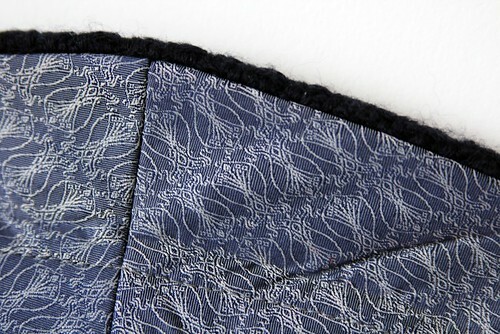 Love the texture and the lining is ace. Although users do not want to change IT companies drive technology. This time of the IT-driven change from multi-users, because it is from the IT industry. Small businesses and users are keen on cloud computing, because they mistakenly believe that it makes the calculation simple.